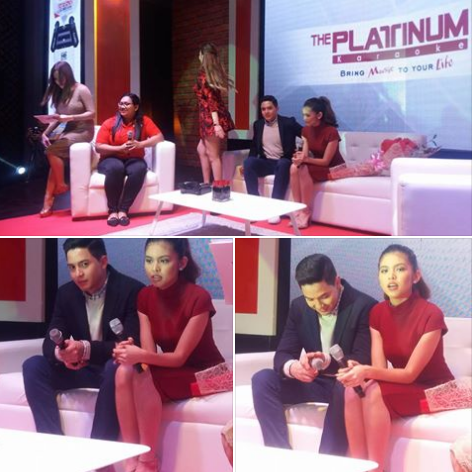 Platinum Karaoke goes to the Next Level with the launch of its new Platinum Alpha Mic Karaoke last September 22, 2016 at The Peninsula Manila. It comes with full HD capabilities that promise superb video and high fidelity sound output quality. And being a 24Gb multimedia console, you can store and watch your favorite movies and listen to your well-loved collection of songs. This Smart Karaoke features browsing and surfing the net, and sharing your phone’s display on the big screen, which makes the Alpha Mic Karaoke an all-in-one entertainment package and a major game changer in the karaoke industry! Platinum Alpha Mic Karaoke is enabled and powered by the Platinum Wi-Fi Dongle and this enables one to access the Internet and mirror one's smartphone through Miracast. It is the first ever karaoke unit that can be bank-powered or via USB port, making it convenient for everyone to enjoy karaoke bonding moments outdoors, in picnics, at the beach or even road trips! In the same event, Alden Richards and Maine Mendoza were introduced as the newest brand ambassadors of Platinum’s Alpha Mic Karaoke. The formidable ALDUB tandem like the brand, have in them an element of wholesome fun and entertainment with a vibe that’s fresh and pulsating. Platinum Karaoke is available in all leading music stores nationwide. 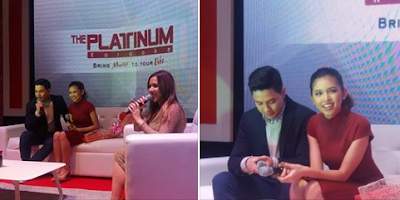 Visit www.platinumkaraoke.ph, like The PlatinumKaraoke in Facebook and follow Twitter and Instagram accounts @platinumkaraoke for more information.